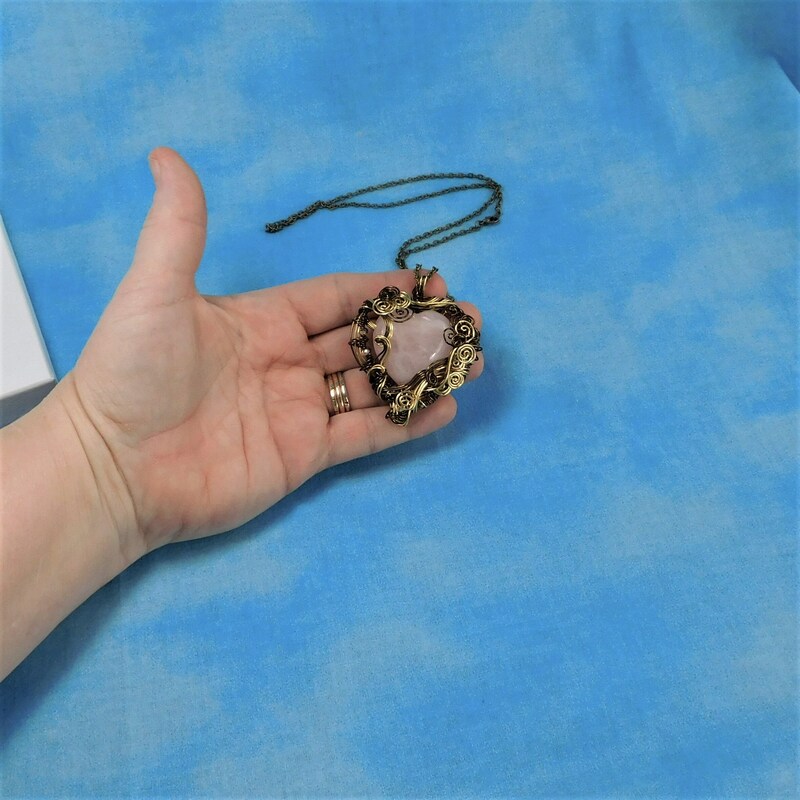 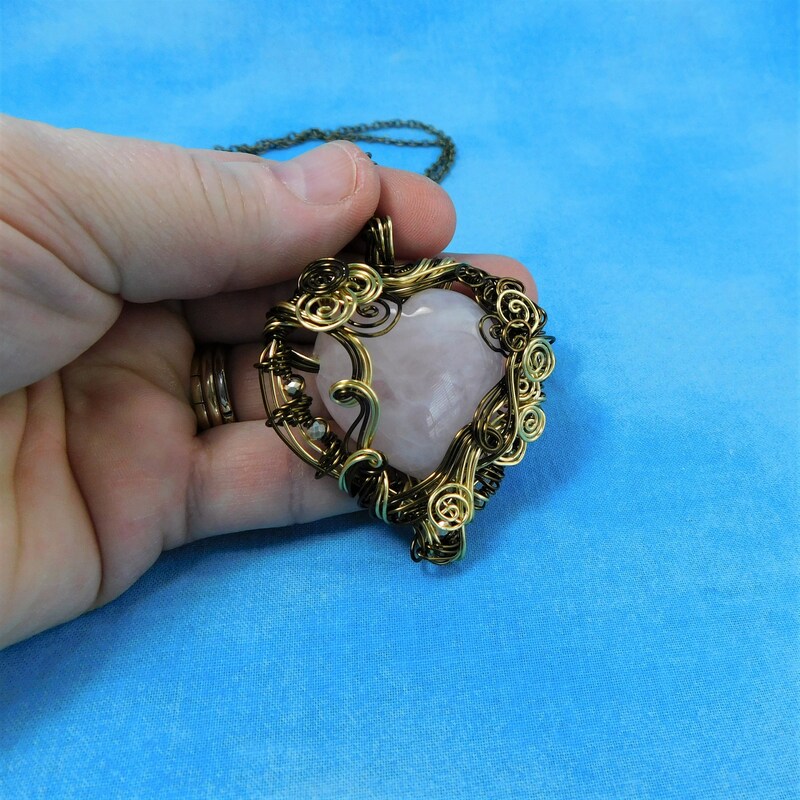 A 2 inch by 2 inch Rose Quartz heart is artistically framed in meticulously hand woven dark copper and gold colored wire. 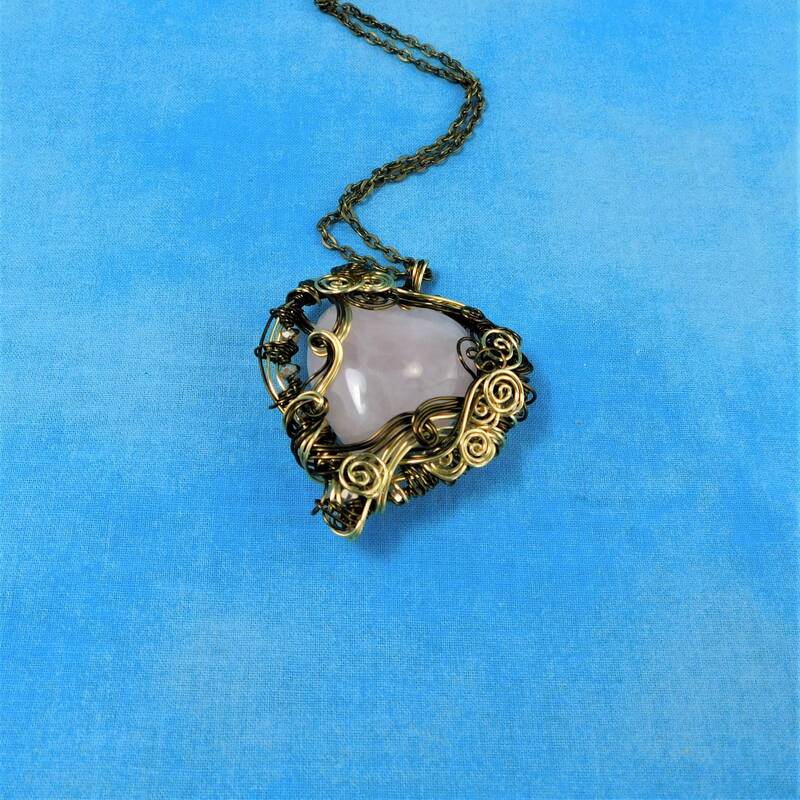 Five individual strands of wire are inticately interwoven with crystals that have a bronze hue. 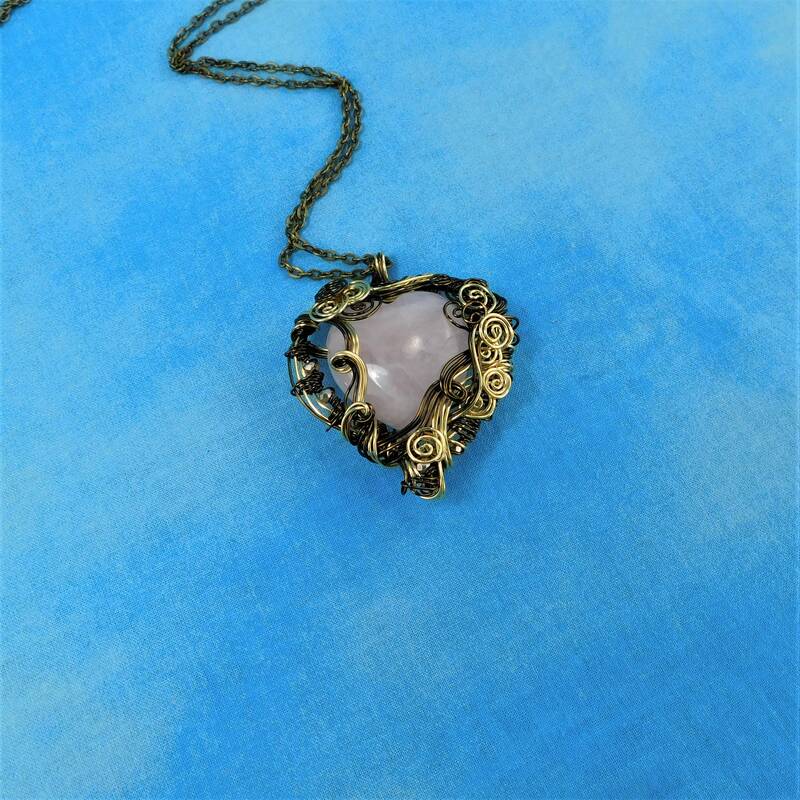 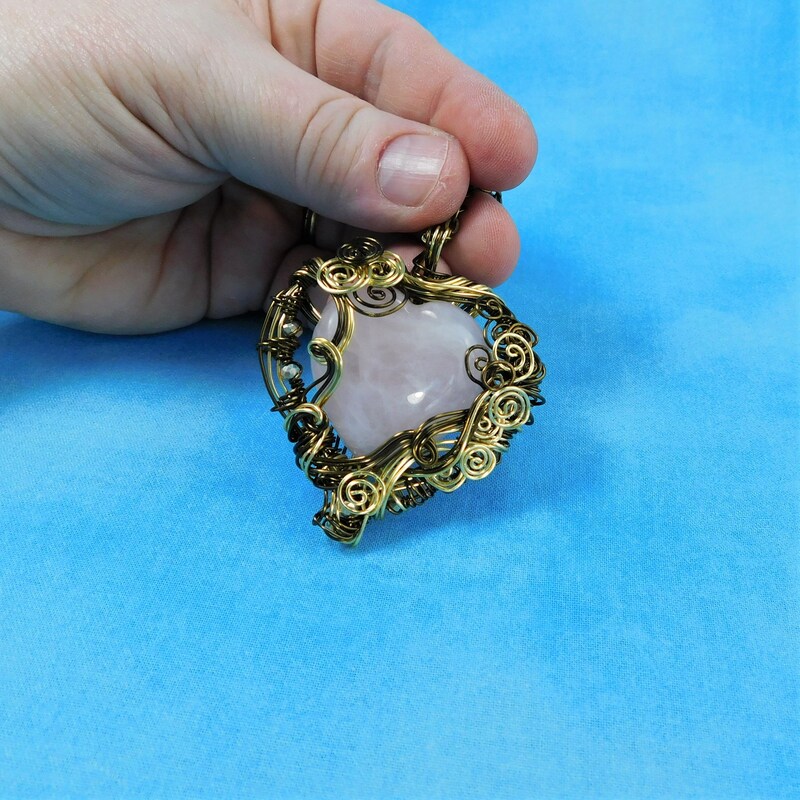 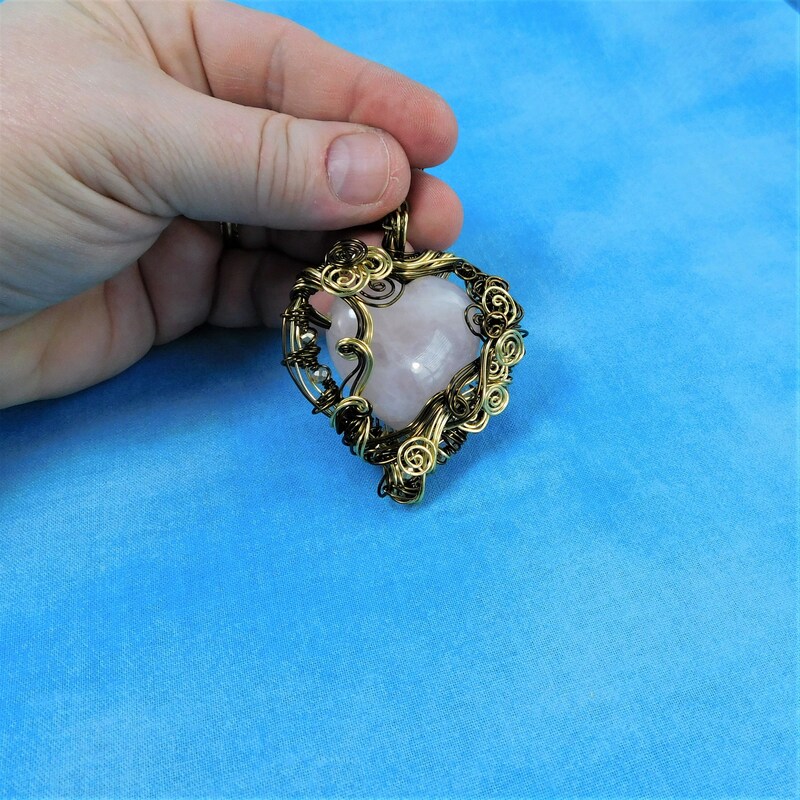 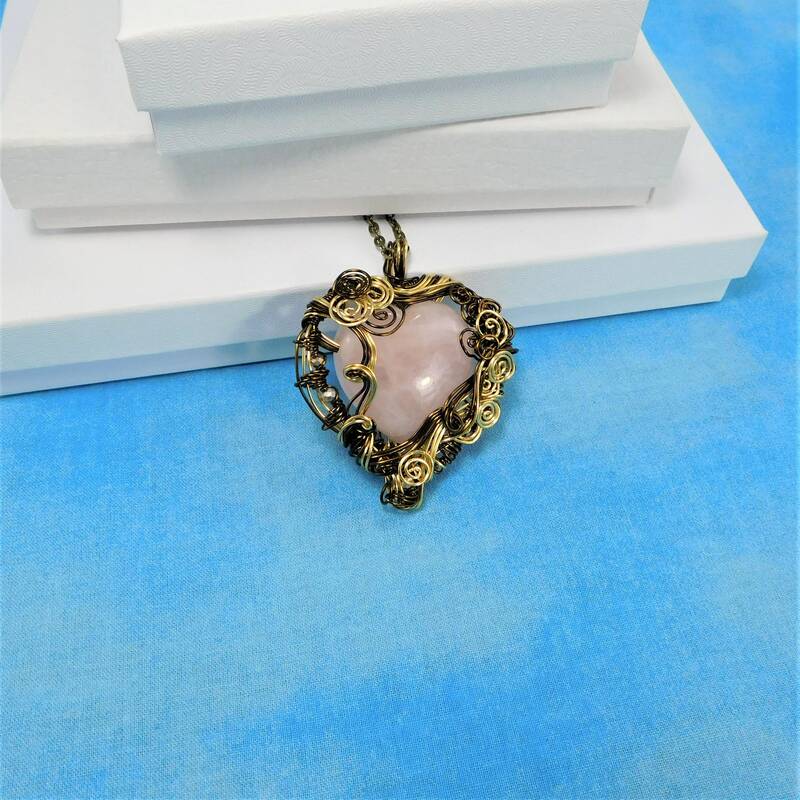 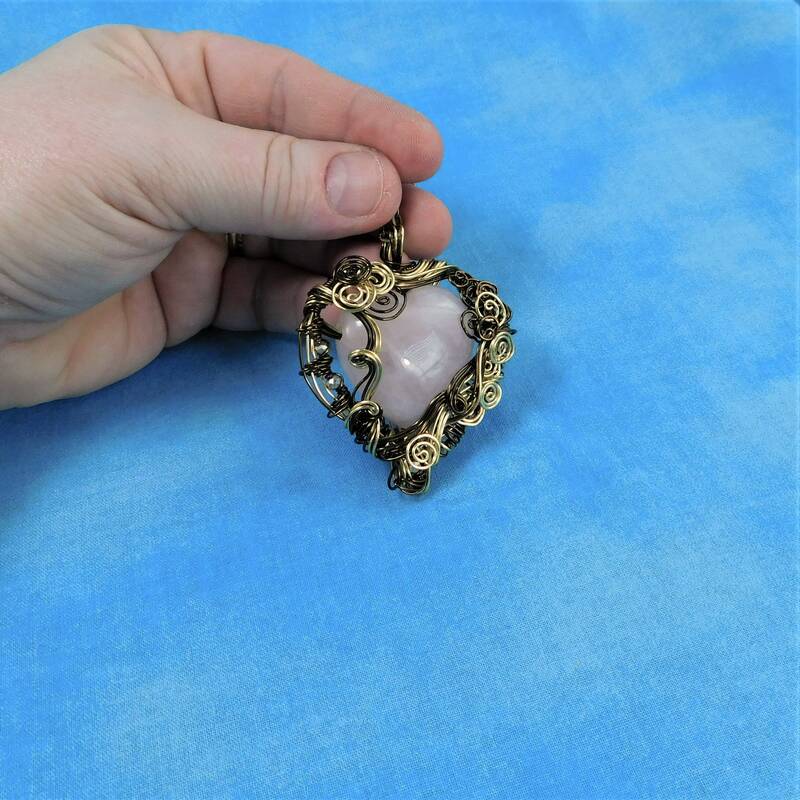 The pale pink color of the heart peeks through the sculpted wire fillagree, giving this beautiful necklace a slight gothic and vintage feel. 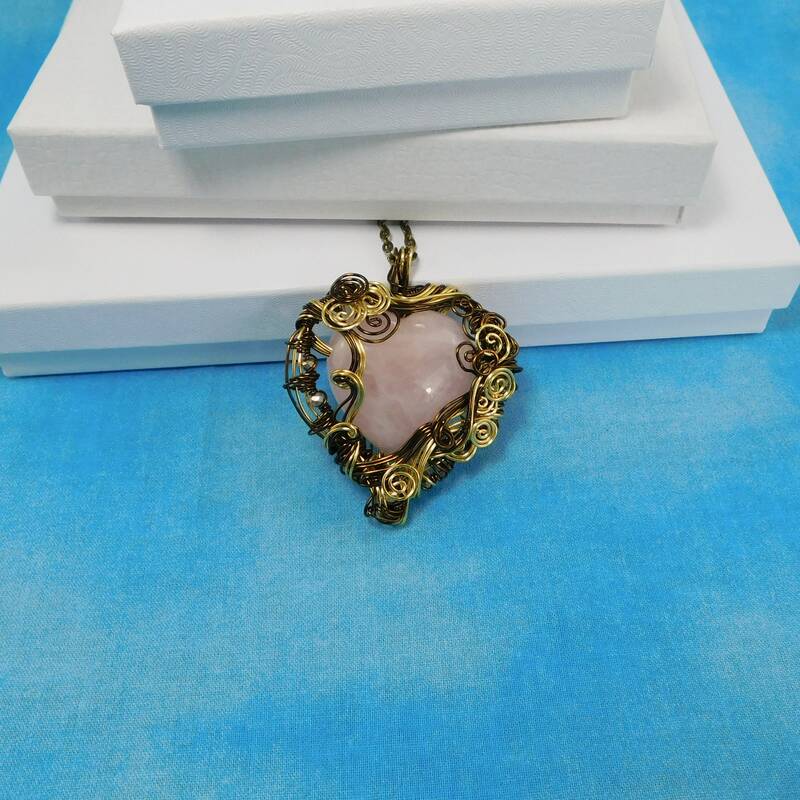 Rose Quartz is an interesting gemstone that coordinates with many colors and styles. 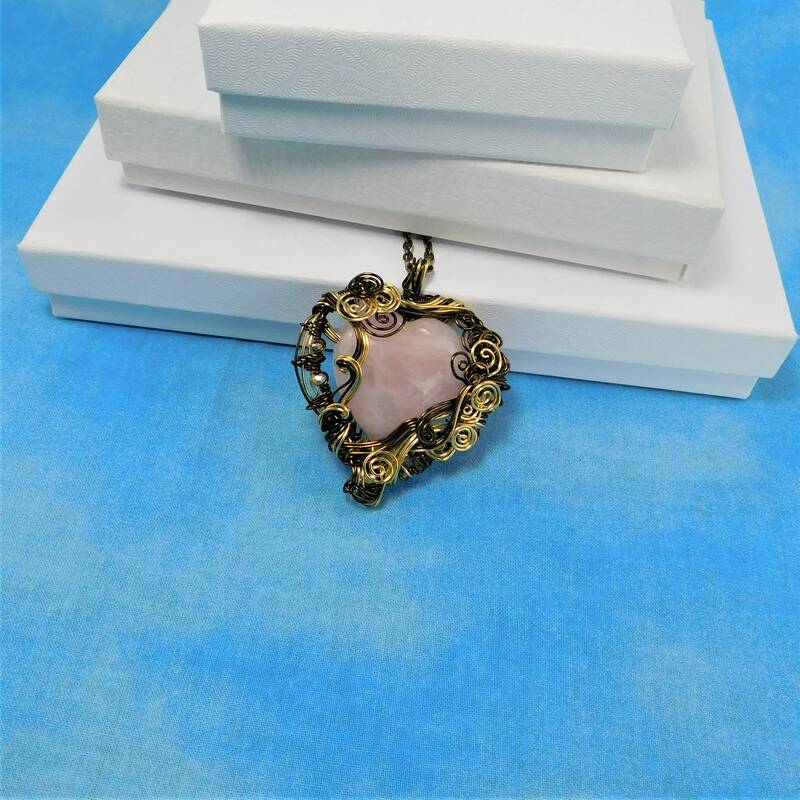 This pendant is very large, bold focal piece that is eye catching and makes a big statement.